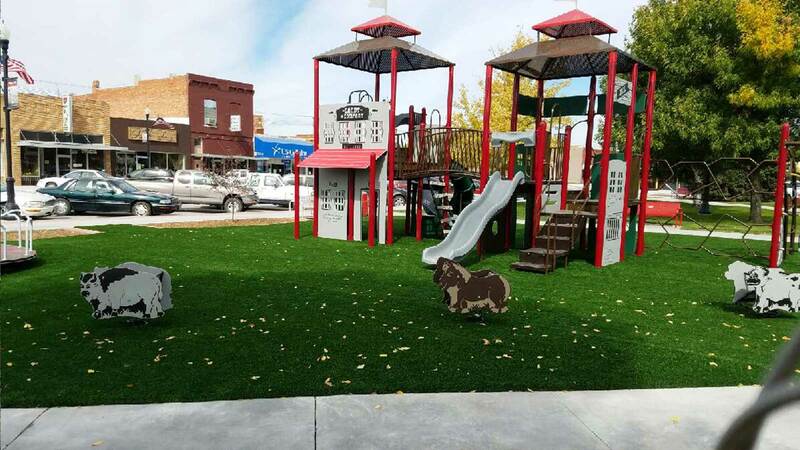 Synthetic Turf, also referred to as synthetic grass or artificial turf, is a popular alternative to conventional playground surfacing. Its realistic appearance provides a great natural feel for both indoor and outdoor play areas. 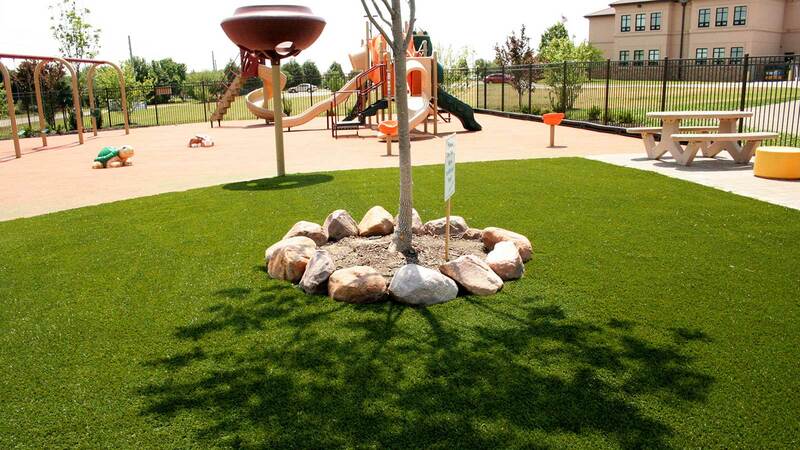 Ecoturf Surfacing Synthetic Turf is specifically designed for “high use” playgrounds and has high traffic durability. Foam padding is installed under the turf to create consistent fall protection. Synthetic turf offers a green alternative with a clean look. Ecoturf Synthetic Turf Surfacing is installed by our certified in-house installation crew. 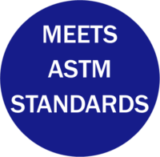 Ecoturf Synthetic Turf Surfacing meets ASTM F1951 Standard Specification for Determination of Accessibility of Surface Systems Under and Around Playground Equipment. 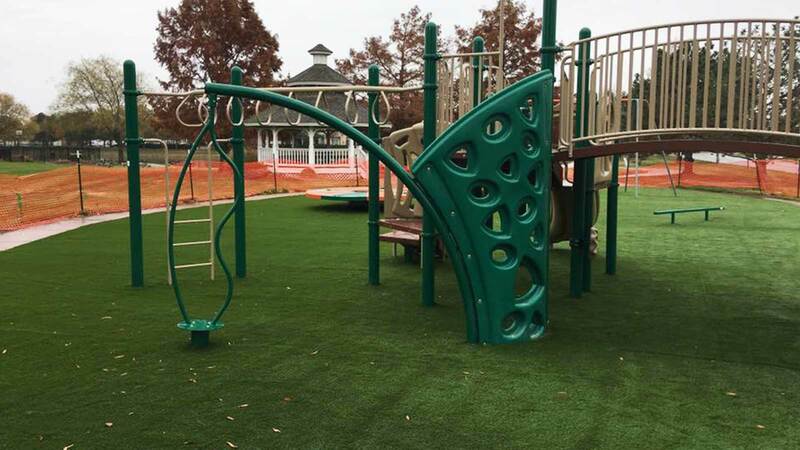 Ecoturf Synthetic Turf Surfacing surfacing meets and exceeds ASTM F1292 Standard Specification for Impact Attenuation of Surfacing Materials Within the Use Zone of Playground Equipment. 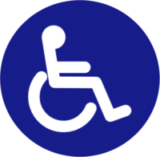 Contact us for a copy of our third party surface testing. 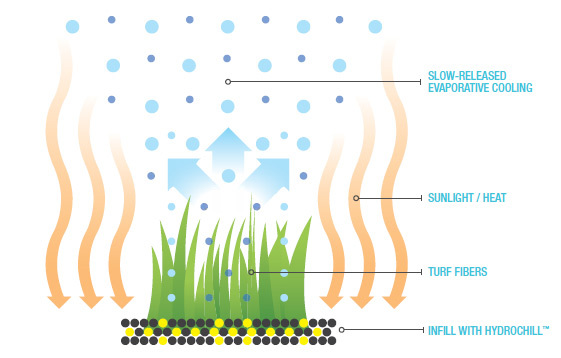 One of the largest challenges with synthetic turf surfacing is that surface temperatures rise significantly during late Spring, Summer, and early Fall. Ecoturf Surfacing, in partnership with Shawgrass, provides HydroChill™ sand infill to our customers. HydroChill™ sand is an evaporative cooling system designed to absorb and store moisture. HydroChill™ then slowly releases the stored moisture allowing your surface to cool. 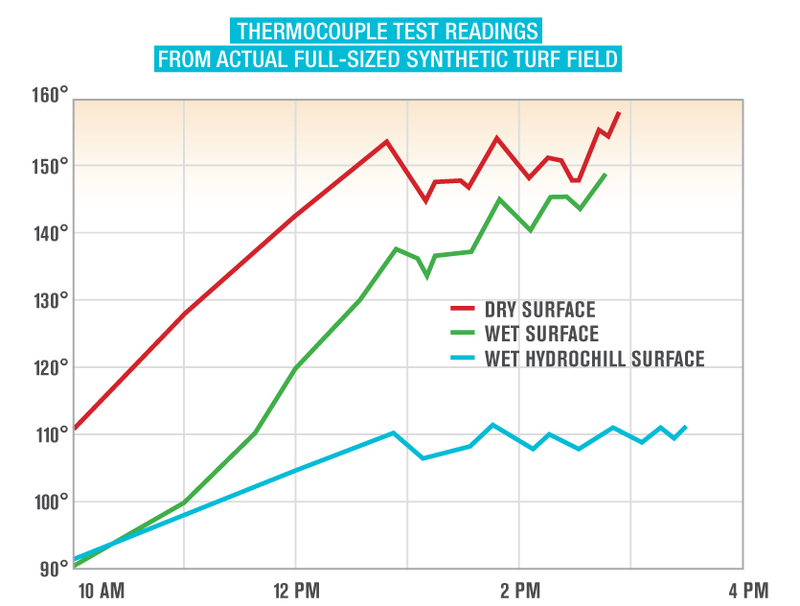 Thermocouple test readings show results of 50 degrees Fahrenheit lower surface temperatures compared to standard synthetic turf. HydroChill™ sand with Bac-Shield antimicrobial protection is non-toxic and safe for kids and the environment. Bac-Shield helps prevent growth of bacteria, mold, and mildew, while reducing odors. Patented technology that has been developed and gone through years of laboratory and outdoor field testing.